Former world champion and top welterweight contender “Showtime” Shawn Porter has pulled out of the welterweight battle against former title challenger Thomas Dulorme that headlines the Mayweather vs. McGregor preliminary bouts presented by Mayweather Promotions on FOX and FOX Deportes Saturday, Aug. 26 from T-Mobile Arena in Las Vegas. Porter withdrew from the match due to personal reasons, which included a death in his family. 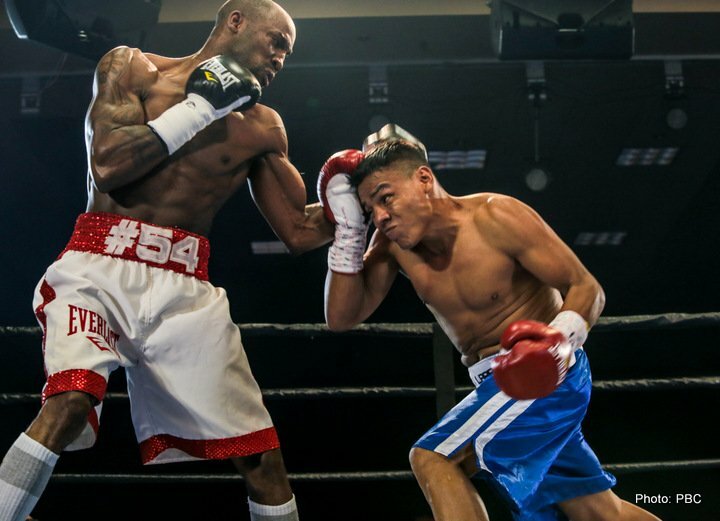 Top welterweight challenger and 2008 Olympic bronze medalist Yordenis Ugas (19-3, 9 KOs) will replace Porter and now take on Dulorme (24-2, 18 KOs) in the main preliminary bout on FOX and FOX Deportes. Saturday’s coverage begins on FOX and FOX Deportes with a one-hour Prefight Show at 6 p.m. ET/3 p.m. PT. Prelims on FOX and FOX Deportes begin at 7 p.m. ET/4 p.m. PT and leads directly into the Mayweather vs. McGregor event that will be produced and distributed by SHOWTIME PPV beginning at 9 p.m. ET/6 p.m. PT. The action on FOX and FOX Deportes will include a 10-round battle between unbeaten prospects Juan Heraldez (12-0, 8 KOs) and Jose Miguel Borrego (13-0, 12 KOs). Representing Puerto Rico, by way of French Guiana, Dulorme last fought in January when he stopped Brian Jones in the sixth-round to pick up his second straight win after the 27-year-old had previously challenged Terrence Crawford for a vacant world title in 2015. Prior to his title opportunity, Dulorme picked up impressive victories over Hank Lundy, Karim Mayfield and DeMarcus Corley. He will look to make a statement on his way to another world title opportunity with a win against Ugas. Ugas will enter the ring for the third time in six months when he faces Dulorme on Aug. 26. The 31-year-old Ugas, a bronze medal winner for the Cuban team in the 2008 Beijing Olympics, has been on an impressive four-fight roll that started last year when he scored a decision victory over then unbeaten Jamal James and followed it up by stopping then unbeaten Bryant Perrella in the fourth round. Ugas continued to take down contenders in 2017 as he defeated Levan Ghvamichava by decision on Feb. 2 before stepping in at the last minute two months later to stop Nelson Lara.